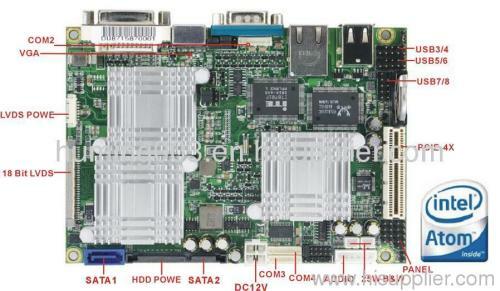 The industrial embedded motherboard used the advanced thermal program Intel Atom N270 processor + Intel 945 GSE + the ICH7M of Navy Pier three-chip solution. N270 is a power consumption of only 2.5W 45nm process processor. 3. DDR2 memory and gigabit nics, stability, security, seismic, adapt to bad working environment; Gigabit WangKou provide strong communication ability.